This car seat is excellent! We opted for this car seat for the nontoxic cushioning material and for its size given the back seat of our jeep wrangler is shallow and thin. Our fear was the base would overhang the seat but we were pleased to find out that it fits perfectly. Setup looked intimidating but the instructions were clear and it was far easier than it looked. Very happy with our purchase! ConsThe extended sidewalls make it a little challenging to load our child into the seat in rear facing mode. So, this is a heavy car seat. But is definitely worth it. Of course, we don't move this car seat often. We usually use this one when we travel as it has a higher weight limit for the latch system. Also because it is 10 lbs lighter than the foonf. We got a glorified luggage cart and strap the kid in it when we go through the airport. Bought this seat to fit in the middle seat of my middle row and still be able to put a side seat down. This seat is so sturdy and appears super comfortable for my little one. Contacted CS for a little install help and they were just as awesome, and actually knew what they were talking about. No complaints so far. Best UsesCompact cars, small spaces. I really like how this car seat is more narrow as it allows us to fit three along the bench seat. The wool is also a plus as it is naturally fire resistant so, no flame retardants! We have only bought clek for each of our three kids and would highly recommend these seats if uou are looking for a quality seat with a compact footprint that will hold ypur child for a long time. Very happy with this car seat. It is quite heavy, so certainly not for travel. But it is strong and well built - should do well in an accident. This is a great seat. My nephew couldnâ€™t wait to sit in it. I love the design and fabric. Itâ€™s really pretty. I chose it because of the high rear facing limit and the safety features. Fabric is easy to clean. Highly recommend. We ordered 2 of these to put one in each of our cars. The fabric feels great and the fit in both our jeep patriot and Durango is fantastic. My husband and I are both very tall and can still drive comfortably with this seat rear facing! 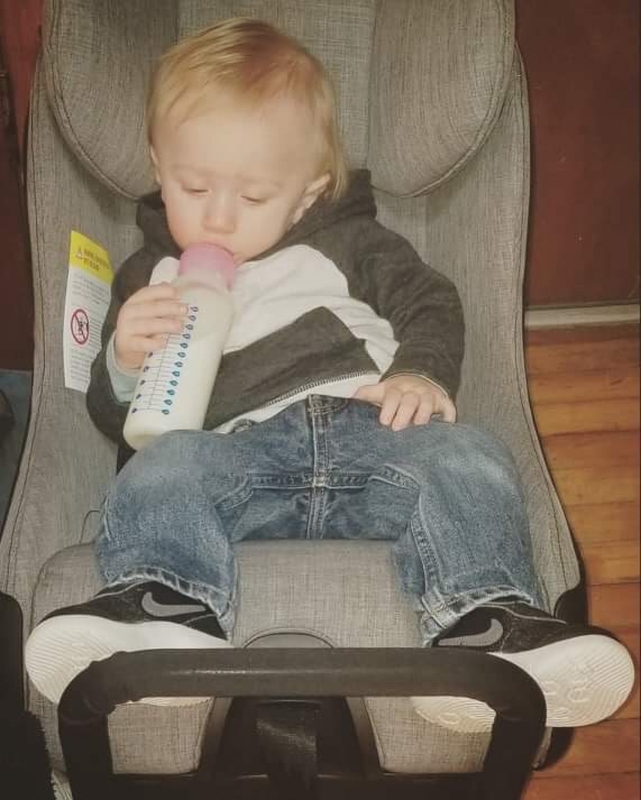 I purchased the Clek Filo 2018 car seat for my grandson, who just turned 1. The car seat is roomy and so much more comfortable for him to ride in. Love the construction and materials on this car seat. The narrow footprint is great even in a larger car. As other reviewers have noted the â€œassemblyâ€ and aspects of install/use could be better. Specifically, the manual needs clearer pics/instructions. I also need to adjust the strap height and based on the instructions (have done it yet) it appears more complicated than other brands. Even so I will buy another FLLO when an additional car seat is needed. Canâ€™t beat the quality and design. This is our second Clek Fllo, and there's a reason for it - this thing rocks! The Fllo is an easy install, takes up far less space than most seats, and is big on safety, making it easily worth the price tag! Our kids feel safe and secure, which is evident by how "lived in" our seats can appear. A big thanks to the manufacturer for the easy to clean fabric, and simple to follow instructions which make disassembling and assembling the seat a breeze. 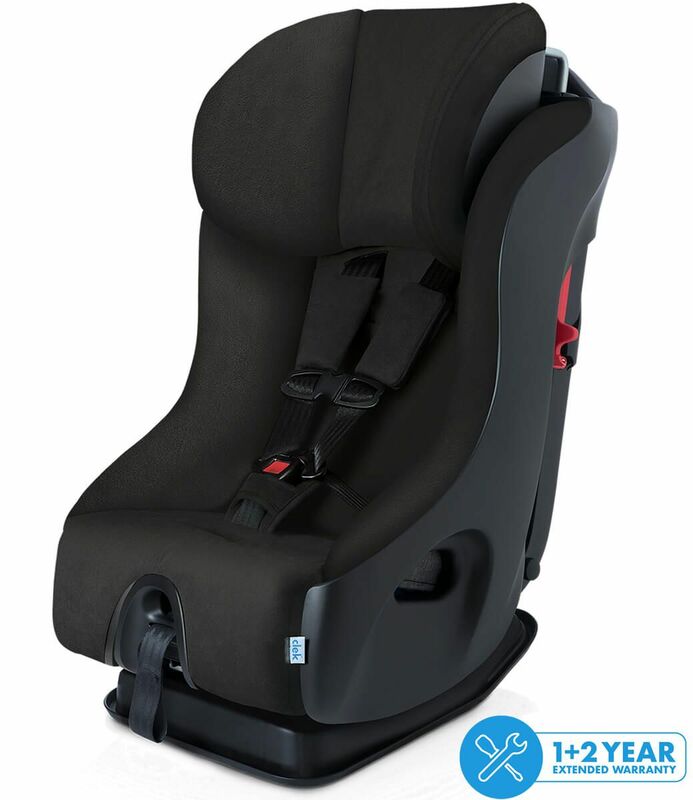 This is a heavy car seat but boy do you feel safe driving around, it has the latch lock system making it very easy to install and move vehicles. The quality is awesome and itâ€™s easy to adjust the headrest and safety belt. Nice and slim as well. 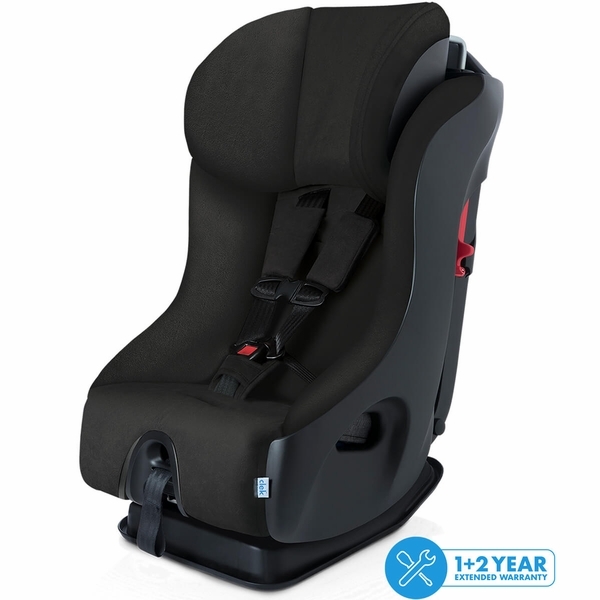 I would definitely recommend but if your looking for a cheap lightweight not so safe car seat then this isnâ€™t for you, otherwise youâ€™ll absolutely love this seat. This was our second clek seat purchased for our other car. We will use this one less and the price was right so we purchased. We have the foonf in the premium fabric already and love it! It is easy to use, safe and clean looking. I would say the Fllo is all of those things, still, but not as easy to instal with the seatbelt and maybe feels a little less sturdy. For the price, it was still a great option but between the 2 models, we prefer the foonf. Really happy we went with this car seat. It feels solid (it's heavy!) and our babe seems so much more comfortable in it (transitioned from infant seat). It sits up higher so she can see out of the windows, which is great. It cleans easily with a damp cloth or wipe when on-the-go. Sleek design. Definitely had to follow the manual to install it correctly, but was manageable. Again, awesome car seat! 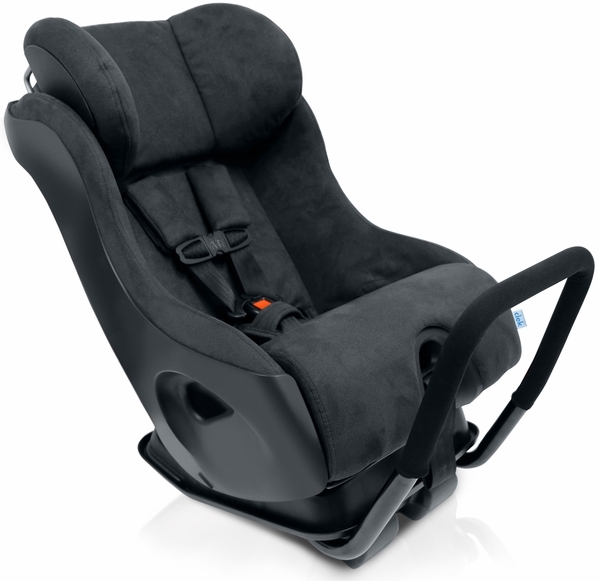 Aside from being a great car seat and itâ€™s easy install, getting it for $300 is a good deal! And comes with 2 year warranty! ConsBulky when rear facing BUT safety features make up for it! Nice and sleek looking car seat. My 3 year old son seems to like it. 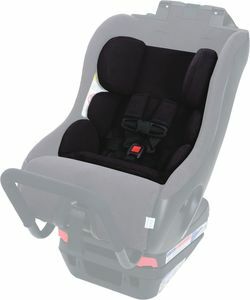 We went from a Graco 4 ever seat which boasts its roominess and comfort. My son didnâ€™t seems to see any difference. We had to switch because we had baby number 2 and it was right on space with the infant car seat. I was unable to fit in the back seat of my SUV rav4 with the Graco 4ever and the infant car seat. So we switched to the fllo for the toddler and now I can sit in the center seat with the infant car seat and fllo. Unfortunately the rav4 doesnâ€™t fit the fllo side by side to the infant car seat. ProsNarrow fit and nice design. Definitely sturdy built. ConsHeavy. No cup holder provided. 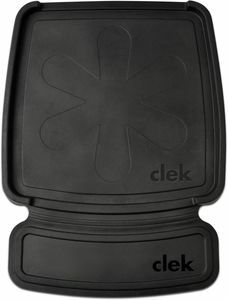 I did a lot of research into convertible car seats and decided on the Clek Fllo because of its rear facing till 50 lbs capacity. I was so happy to see it on sale at Albeebaby.com right when I needed it! The car seat seems sturdy and the fabric feels nice. So far so good. Itâ€™s roomy for my 8 month old. She seems to enjoy her new seat. It cleans easy.... she threw up and it wiped right off! The only down side is that when she naps, her head falls forward...the recline isint as deep. I also like that two adults can fit comfortably in the back the car seat in the middle. This is my 2nd Fllo for our 2nd car for a long and lean 4 year old. Love the softness of the fabric but the weave is also tight enough that it seems like it would hold up well to the daily rigors of kid wear. The seat is so comfortable we did a 4 hr drive with only 1 stop and no complaints about the seat. Love how it sits up high to provide a good view. Thanks Albee Baby for great service and fast shipping! I love this seat and I own six of them! Safety is the most important when it comes to my children. I love that this seat accommodates children up to 50lbs rear facing and the fact it fits three across in my SUV and my sedan. The fabric is super easy to clean, installation is easy, and my girls seem to love it as well. So far, we've loved this car seat. First off, despite many reviews saying it is tough to put together, I had a very easy time doing the very few steps needed to assemble. It was very easy. I guess the fact that you have to do any assembly whatsoever throws people, but it was simple. My baby seems very cozy, with lots of room to grow, which will be great to remain rear-facing as long as possible (safer). Also, we've had temperatures in the 90s this week, and despite the temperature of the car, the wool seat stays quite cool. So happy about that because our Chicco infant car seat got so so hot that our baby would sweat on hot days. Also, he spilled a little milk on the seat today and the wool didn't absorb the moisture. It was very easy to blot up. Very happy with this purchase. My daughter was so happy to graduate to a "big girl" car seat...she smiles and laughs, looking around curiously every time we get into the car. The tokidoki unicorn print is bright and fun. Her older sister has the previous version of the car seat (tokidoki outer space) and we love both! 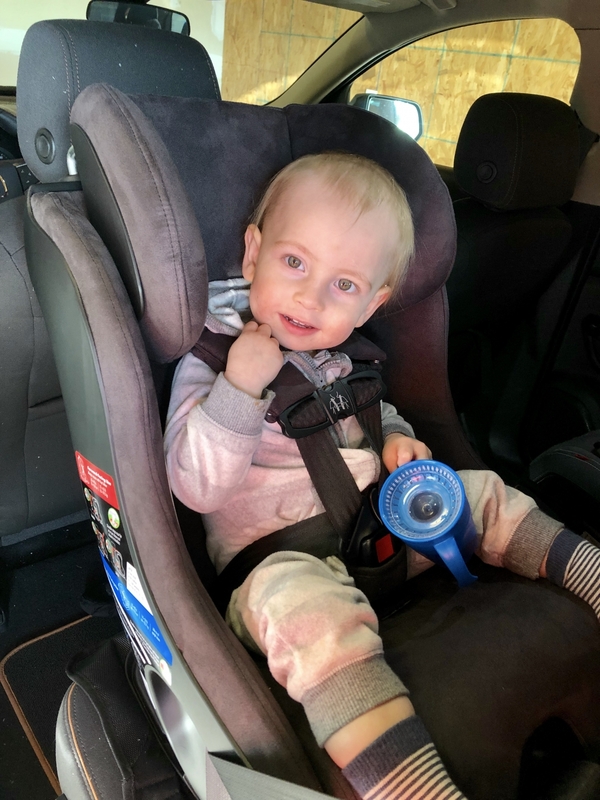 While the car seats are a bit heavy and pricier than others, they are sturdy and made with quality materials - well worth the extra money! Love it. Sturdy, easy install, slim and safe. We have 4 of these now and love them. They are comfortable for our boys rear facing from 1-2.5 years then forward our 3.5 year old who is tall and thin still is very comfortable. Great seats. They are heavy so not great for travel but safe and good looking. This is our second clek fllo and we love these seats! Super strong and safe and bonus...theyre adorable in the toki print. We needed a second seat and specially waited for the the release of this new print. So happy to find it on Albee Baby. Love ordering from them. 12.5" D x 13-16.9" W x 21.5-26"
Fllo boasts a best-in-class narrow width under 17" at its widest, making 3-across seating possible. Accommodates children up to 50 lbs in rear-facing mode! Advanced Side Impact Protection and a steel anti-rebound bar protect child in case of impact. Integrated into every Clek Fllo is an Aluminum Honeycomb Safety System designed to reduce the forces transmitted to a forward-facing child in a collision. NEW for 2018: 1-year standard warranty + complimentary 2-year extended warranty. Fllo is tailored in GREENGUARD Select Certified Crypton Fabrics and is designed with best-in-class width at 17 inches, providing space to fit 3-across easily. 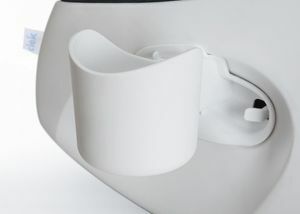 Extended Rear-Facing Use: Fllo was designed to international best practices for extended rear-facing use. Steel Anti-Rebound Bar: Fllo comes with a Steel Anti-Rebound Bar, which improves stability by limiting rotation of the child seat, helping protect your childï¿½s head from impact in the event of a collision. Adjustable Headrest with Deep Side Wings: Energy-absorbing EPP foam-lined headrest connected to the frame using steel rods ensures maximum head protection in a side-impact collision. Energy-Absorbing Foam Layers: Foam layers on both the inside and outside of the frame protect your child by absorbing energy in a side-impact collision, resulting in less force transferred to your child. Metal Substructure: Steel substructure prevents twisting to keep child contained and protected in the child seat. Integrated into every Clek Fllo is an Aluminum Honeycomb Safety System designed to reduce the forces transmitted to a forward-facing child in a collision. Flloï¿½s Energy Absorbing Crumple Technology (EACT) transfers forces away from the child and to the aluminum honeycomb deformable cores integrated into the seat base. Improved compact design sits lower in vehicle for improved visibility and ingress/egress. Fllo boasts a best-in-class narrow width under 17 in. at its widest. Integrated Flip foot for rear-facing installation. Base of child seat measures 13 in. wide for improved installation in difficult vehicle seating positions, like deep bucket seats and centre seating positions. 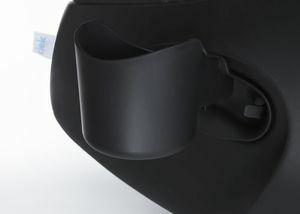 Anti-rebound bar nests into flat part of vehicle seat back ensuring a snug installation with ease (and is removable for a more upright installation for extended rear-facing). Approved for use in aircraft. Learn more about child safety on airplanes. 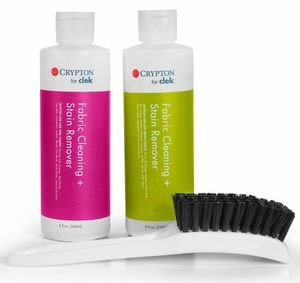 Cryptonï¿½ Super Fabrics are GREENGUARD Select Certified and provide permanent protection against stains, moisture and odor-causing bacteria; and are free of brominated and chlorinated flame retardants. Height Measurement in Rear-Facing 23.5 in.